Tubelight 1st Week Collection Thursday Box Office Earnings and Occupancy Report: Salman Khan’s destiny has fallen. We’re giving that statement but Tubelight 1st Week Collection appears to be. While tollywood film Baahubali collected 100 crores in a single day, it was not feasible for Tubelight collections to touch such mark in 5 days. Despite getting big release on over 4350 screens around the country and 1200 screens overseas. Tubelight collection appears to be only falling from the very first day. The movie took a small hike in overall earnings on the Sunday but the celebrations didn’t lasted long. As we’ve predicted on the very first day, Diljit Dosanjh’s Super Singh was not able to have resourceful impact on Tubelight earnings but it does have effect on Punjab market. Tubelight continues to struggle during the entire week. Weekday have finally arrived for Tubelight Collections, Film was not able to score big in the extended weekend. All eyes are currently on the earnings of 5th day which is a weekday. Something big can’t be expected as film have gathered all the possible audience in weekend itself. 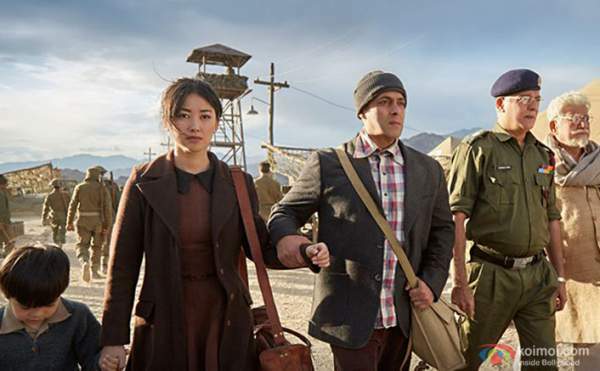 As its fifth day earnings, Tubelight minted out a figure of 12 crore rupees. The response was quite similar to previous days. Film struggles on weekdays. Closing of month and new laws implementation does had a small impact on Tubelight collections. Film struggles to grow big. With around 20% occupancy in most of the theaters, it made around 10.91 crore rupees. Film was not able to perform anything big on Thursday as well. While some of Salman Khan fans busy on encouraging each other to watch the film once again, movie got average response from theaters in metropolitan cities. Fickle mint out an approximate figure of 11.2 crore from Thursday earnings. Over the past week, there are many reviews by trade experts on film’s potential to rock the box office or not. Coming to the overall review of box office report, movie performed literally very poor on the BO. There were some records for advance online booking as most of the screens appears to full on first days. Over the first week on box office, fickle earned a figure of crores with an average occupancy rate of 35%. So far Tubelight have collected around 31 crores from the Overseas market which is strictly average considering size of release. Film might not be able to make any money from the international market after the end of this week. If we total the collections of 7 days (Including early trends) it gives us an approximate figure of 150 crore rupees. It doesn’t seems that film is able to cross the mark of 200 crore before the 2nd weekend.